These vocabulary cards are used in my plant unit. 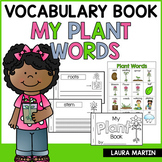 The words include germination, radicle, cotyledons, seedling, monocotyledon (monocots), dicotyledons (dicots), tap root, fibrous root, conifer, cutting, pollination, photosynthesis, chlorophyll, stomata, respiration, tuber, bulb, pistil, and stamen . 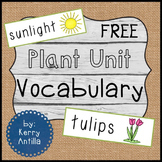 With these vocabulary kids, your students will grow and blossom! If you use vocabulary cards like we do in our lessons, you are going to love these cards!! 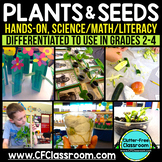 They are easy to read, small enough to fit on a pocket chart, and the adorable graphics are appropriate and easy for students to understand. 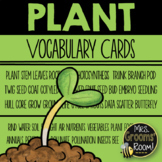 Vocabulary Cards for the Journey's Textbook Version of "From Seed to Plant." Contains the word, definition, and a picture for each of the 8 vocabulary words listed in the story. There are only 8 vocabulary words in this passage. 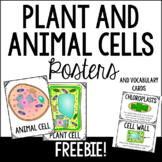 A fun way to make sure that your students know their Biology definitions! 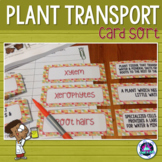 This card sort activity on the Transport in Plants will test your students’ understanding and knowledge. I have a file with these ready for students who finish early or those who want to start on revision for a test or exam. 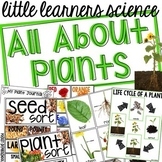 Aligns with NYC Pre-K's Unit on Plants. 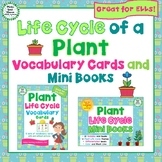 The cards depict parts of a plant, what plants need to grow, etc. Clear writing and vibrant pictures to facilitate use. Use these picture vocabulary cards during whole group writing time hang them on your word wall, or place them at a writing station. Enjoy!